Show the world your love of imagination and fun when you go out carrying our fancifulRainbow Narwhal Sassy Pet Sak! 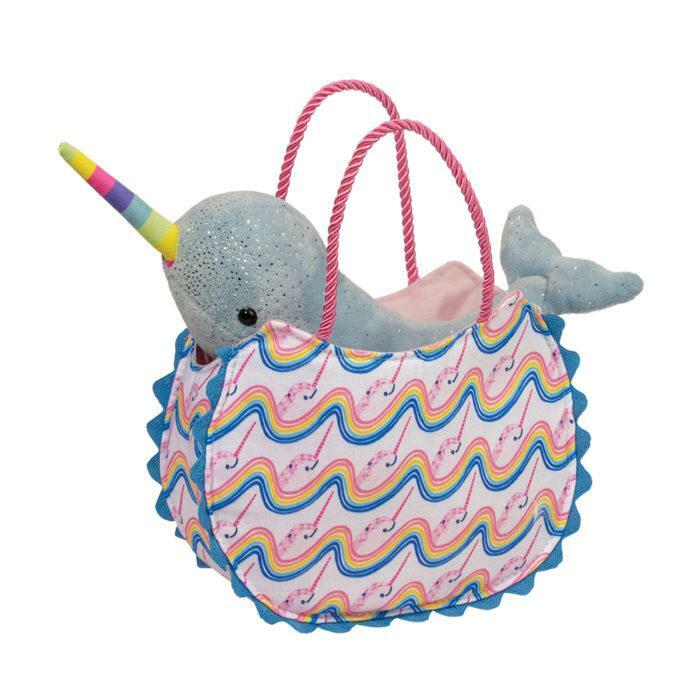 Its whimsical fabric features pink speckled Narwhalssurfacing amidst an undulating current of rippling rainbow waters. Blue scallop trimmimics ocean waves and runs around the border of the purse. Soft to the touch andelegant, the handles are finished with pink satin twist cord. Nestled snugly within thebag, a sky blue Narwhal stuffed animal awaits a friend with whom she can shareadventures. 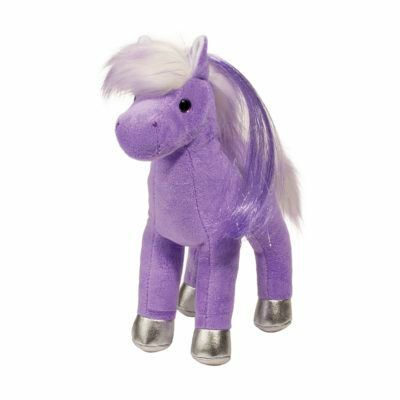 Accented with a rainbow tusk and glittery sea spray this magical plushwhale is no stranger to fantasy and is the perfect pal to accompany make believeadventures!